guestbook. I'd like to hear what you think of my site. Thanks for visiting! 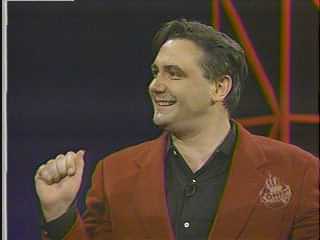 Tony Slattery is best known to most Americans as one of the main contestants on the UK version of Whose Line is it Anyway? He has also been in a number of films, including Peter's Friends, Heaven's a Drag, The Crying Game, and How to Get Ahead in Advertising, just to name a few. 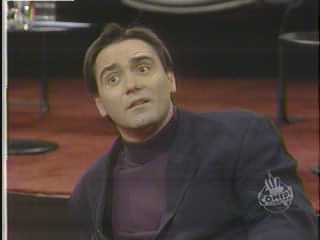 I first became interested in Mr. Slattery after watching his brilliant performances on Whose Line is it Anyway? and though he is considered the rudest performer, I found him to be outright hilarious! If you have never had the priviledge of watching him in action, I am willing to make tapes for my viewers, if you email me and give me instructions. 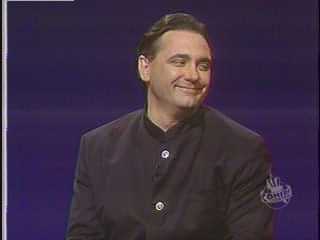 Click Here for Tony Slattery quotes, other Tony Slattery moments, and movies Tony has appeared in. Peter's Friends) to join the Footlights Dramatic Club. He was named president of the Footlights in 1982. He stopped becoming an academic when, "Getting up on stage and hearing laughter took over." 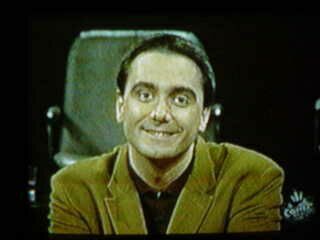 One man, Rory Bremner, came to the party as Tony Slattery, mimicking his voice and how he walks. After figuring this out, Tony walks the same way as Rory and says sarcastically, "Ha ha ha! Ha ha ha!" He then looks straight into the camera and says, "I'm not playing anymore." 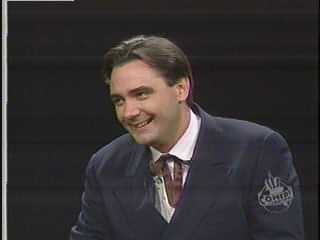 Tony was also known for his remarks to the host of the show, Clive Anderson. 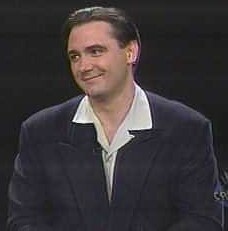 Usually when playing "World's Worst," he would imitate Clive by raising his shoulders to the back of his head to look as though he had no neck. He also consistantly made fun of Clive's receding hairline. On one particular show, just before starting "Party Quirks," Tony said, "I'm just putting on my heavy-duty sunglasses incase Clive shows up without a hat." 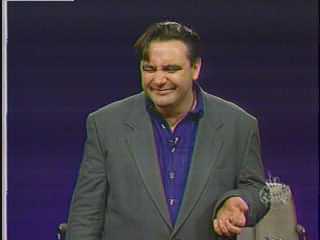 After his final season on the show in 1995, Tony became clinically depressed, and confined himself in his flat for two years, after having dumped all of his furniture, including his refrigerator, into the Thames River. He had been working non-stop for 13 years. He still managed to visit his parents every weekend, and he would pretend nothing was wrong at all. He finally decided to see a psychiatrist, and he has not gone back into clinical depression since. Tony was the rector of Dundee University from 1998 to 2000. One of the fields of research there is cancer, which claimed the life of Tony's father a few months before he became their rector. Most recently, Tony has been on the 2005 British TV show Ahead of the Class, in which he plays Stuart Stiles. 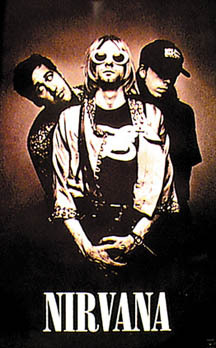 -About A Girl, Come As You Are, Jesus Doesn't Want Me For A Sunbeam, The Man Who Sold The World, Pennyroyal Tea, Dumb, Polly, On A Plain, Something In The Way, Plateau, Oh Me, Lake Of Fire, All Apologies, Where Did You Sleep Last Night? The Three Stooges are known to the world as Moe Howard, Larry Fine, and Curly Howard. This line-up, however, was not the original. The Stooges first started out in vaudeville in the late 1920's. 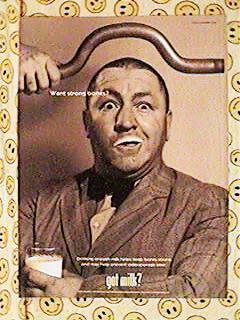 At that time, the act was known as "Ted Healy and his Stooges." Curly was not in the line-up at this time, but his brother, Shemp Howard, was. After Shemp left the act in 1932, it was then that Curly joined. 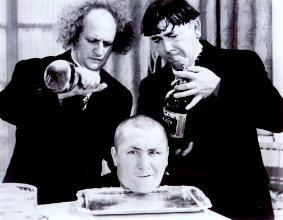 After the Stooges left Ted Healy in 1934, they became known as The Three Stooges. 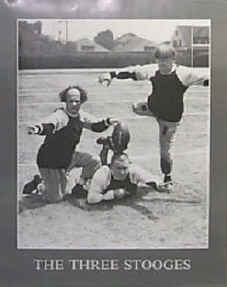 The Three Stooges made 190 film shorts for Columbia Pictures between 1934 and 1957. Between those years, the line-up changed three times. 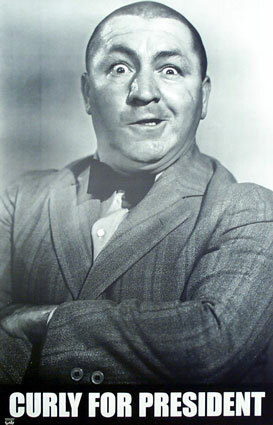 Due to health complications following a series of strokes, Curly Howard was the first to leave in 1947. He had made 97 film shorts with the Stooges. He made a cameo appearance in the Stooges' 100th short, "Hold That Lion." He died on January 18, 1952. He was 48. Shemp Howard became part of the Three Stooges in 1947, following Curly's last short. Shemp was featured in 77 shorts during his time as a Stooge. On November 23, 1955, on his way home from a boxing match, Shemp was riding in the back seat of a car with his friend Al Winston. He lit up his cigar and sat back. Suddenly, he slumped over into Al's lap, burning him with his cigar. Shemp Howard had a heart attack and was dead at age 60. 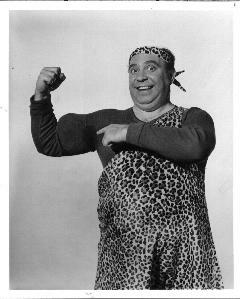 The third incarnation of The Three Stooges consisted of Moe, Larry, and Joe Besser. 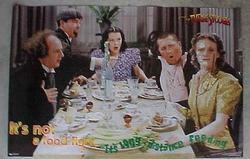 Joe was featured in the last 16 film shorts of the Stooges' career. He was rarely ever hit by Moe, and Larry took most of the hits while Joe was in the group. 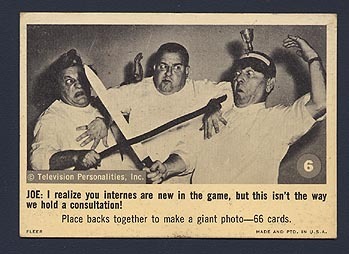 This was part of an agreement, that Joe would replace Shemp, but Moe would not be allowed to physically hurt Joe. He had said before that slapstick was not his "cup of tea." After December 20, 1957, no more Three Stooges shorts were filmed. Columbia Pictures was the last filming industry to show film shorts. After 1957, The Three Stooges had their fourth and final line-up. (Besser had left to care for his ailing wife, Ernie)There was Moe, Larry, and Joe DeRita, known as Curly-Joe. He was in all of the Stooges' movies. They had six movies of their own, and made cameo appearances in two other films. 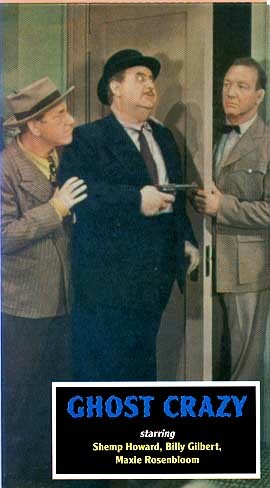 The Three Stooges--"It's not a food fight, it's long distance feeding"
Moe Howard in his usual mood. 8. The Outlaws is Coming! People have dropped by since January 4, 2001. 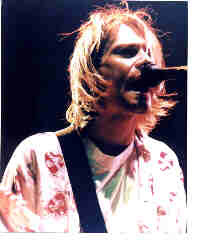 Kurt is missed by his countless fans. 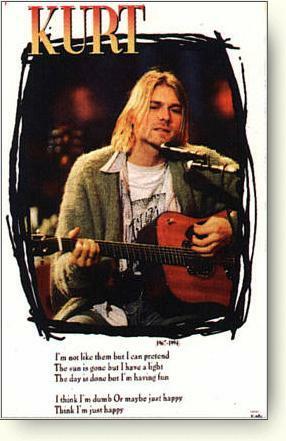 We will never forget him, and his music will always be with us. Come and see it! 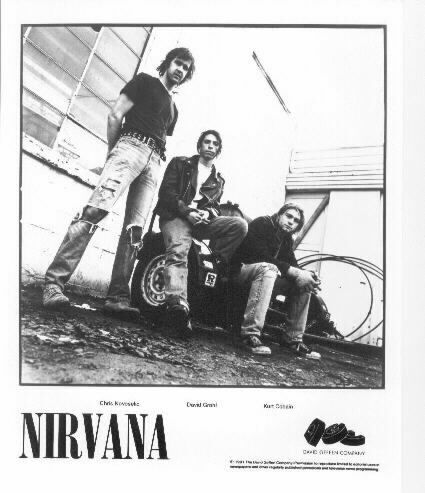 :: My Nirvana page is up and running! Want more Tony Pictures?---Check this out. The Farrelly Brothers were talking about making a Three Stooges movie back in March 2001. The movie would be based on the slapstick characters of Moe Howard, Larry Fine, and Curly Howard, and not a remake of any particular Stooge story. If you're a big Kids in the Hall fan, take a look at either my Kids in the Hall Page or my Fun with KITH Page before you leave. The first one has short biographies on Dave Foley, Bruce McCulloch, Kevin McDonald, Mark McKinney, and Scott Thompson, pictures of all of them, KITH quotes, their individual movies, info on Bruce McCulloch's "Shame-Based Man" CD, Kurt Cobain related info with the Kids in the Hall (such as Bruce McCulloch's song "Vigil"), and other stuff. For you Dave Foley fans, I have also included a NewsRadio link and a link of when Dave will be on TV, (particularly NewsRadio and his movies). The second KITH page is just what it says---FUN! KITHfan.org--All the Kids in the Hall information you need, including which episodes their reoccurring characters were featured in, some audio/video clips, chat, and more. Many Kids in the Hall fans agree--this is THE Kids in the Hall site! The first time I ever saw Jack Lemmon on screen was in 1993 when my mother took me and my brother to see Grumpy Old Men. I honestly didn't think I was going to enjoy seeing this movie, but I gave it a chance. It was absolutely hilarious! 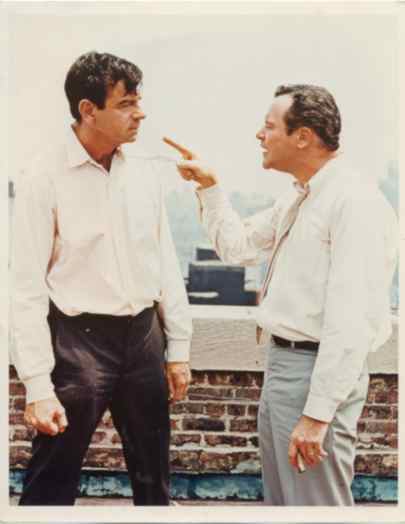 I thought Jack Lemmon and the other star of the movie, Walter Matthau, had great chemistry together. After my mother bought this movie for us on VHS, we watched it over and over again. The second time I saw a Jack film was in 1997 when my next-door neighbor went away for a few days. He left a box of old movies in his garage and said I could borrow any of them any time I wanted to. I didn't think there was going to be any movies I really wanted to watch, but as I was looking through them, I came across The Odd Couple. I heard this was supposed to be a really funny movie. I took it home, and I wasn't disappointed. I thought it was the funniest movie I had ever seen, as I had watched it SIX times that day! (Never before did I devote an entire day to watching a movie.) I had to own a copy of it for myself. When my neighbor returned, I thanked him and told him it was the funniest movie I had ever seen. After that, I became a Jack Lemmon and Walter Matthau fan. When Grumpier Old Men hit theaters, I had to go see it. It made me laugh just as hard as the first one did! Of course, I had to own this one as well, so I bought it after it was released on VHS. My family and I have watched it many times. One day at Blockbuster, my mother noticed a movie called Out to Sea on the shelf. She said it was supposed to be a very funny movie. Of course it had to be! Matthau and Lemmon were in it! How can you beat that pair? They were, of course, extremely funny. Surprise, surprise. What was really a surprise was in 1998 when the sequel to the Odd Couple came out. I didn't get to see The Odd Couple II when it was in theaters. I saw it two years later in June 2000 when my family and I were renting a house in North Carolina while on vacation. The owner left all of his movies for us to watch. Hey! He had The Odd Couple II there! How lucky! I forget how many times my brother and I watched it. After we came home, I bought a copy of it at Best Buy. My brother said, "Now I have to find something else to get you for your birthday." I had a feeling he was going to say something like that when I was buying it, but I couldn't wait seven months until my birthday! Sadly, three weeks after I had finally seen The Odd Couple II, I got the news that Walter Matthau had died on July 1. 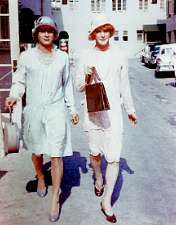 I knew if his death would be hard for anyone (besides his family), it would be Jack Lemmon, his best friend. Jack responded to his passing by saying, "I have lost someone I have loved as a brother. We have lost one of the best damn actors we've ever had!" Now, almost one year to the day, the second Grumpy Old Man has died. Just four days before the first anniversary of Walter's death, Jack has gone to join his best friend where they will never be parted again. Jack was ironically buried on the anniversary of Walter's death, July 1, 2001. I imagine it was hard on Jack Lemmon to lose his best friend, to watch him die. Now the two are reunited where they no longer suffer. Their pains and health problems are all behind them. We are all saddened to lose yet another great actor, one who many of us have grown up loving, and one who others of us have grown to love over the past few years. 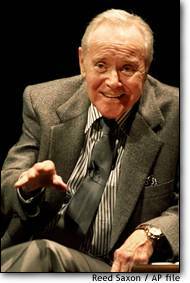 Like Frank Sinatra, what Jack Lemmon has given us is immortal. He, too, will continue to gain millions of fans for many generations to come, and will never be forgotten by the millions of fans who miss him dearly. YOU ARE LOVED AND MISSED BY ALL OF YOUR FANS!! WE WILL NEVER FORGET YOU! 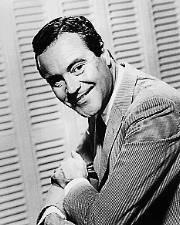 Jack Lemmon was called an "Everyman," since he constantly acted as someone we could all relate to. 1) All in the Family-- I believe that this is a wonderful show, and the best way to enjoy it is to not take what Archie Bunker says personally. 3) Family, Friends, and Cats--some of my family members, some friends, my cats, things I like and don't like, Celebrities with Multiple Sclerosis, such as Annette Funicello, David L. Lander, Montel Williams, Richard Pryor, Teri Garr, Clay Walker, Jonathan Katz, Kelly Sutton, Victoria Williams, Lena Horne, Alan Osmond, Neil Cavuto, and Captain Beefheat. Also includes two different pictures of me with two music legends: one of me and Felix Cavaliere (who was one of the lead singers of the Rascals, and an all-time favorite of mine), and one of me and Martha Reeves (Martha and the Vandellas)**There is also a photo album that I added in November 2004 of Riverfest!! It includes performances of the bands mentioned...Martha & the Vandellas, The Rascals, and Paul Revere and the Raiders! (Also includes "Goldy's Rock and Roll Review). 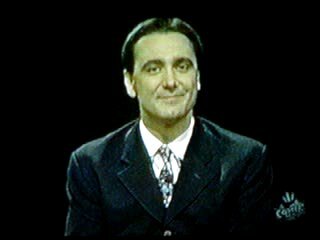 ** Goldy was a DJ who was laid-off in September 2004, and had been with the station since the beginning in 1993...My emails to the station NEVER go through! 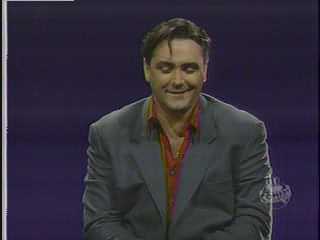 16) WLiiA Tony on TV-- I have a link provided for that links to the Comedy Central webpage for Whose Line is it Anyway? You can find the WLiiA? schedule by typing in "Whose Line is it Anyway?" 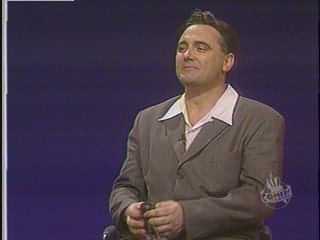 On my "WLiiA Tony on TV" page, I also have Tony quotes, other Tony Slattery moments, and pictures of the movies that Tony has been in. 17) Wecome Back, Kotter/ MacGyver--Great shows that used to both be on at midnight. TVLand pulled WBK off their schedule at the beginning of 2003 (I am still willing to make tapes for my viewers), but MacGyver is still on at 8:00am & 1:00pm during the week. MacGyver is at the bottom of the page. Stooge quotes (This will be fun!) Have a suggestion? Email me! This will be very simple...These are some of my favorite quotes from the guys. Moe (From 1939's Oily to Bed, Oily to Rise & the 1958 remake Oil's Well that Ends Well) "Everytime you think, you weaken the nation!" Moe (From 1940's You Natzy Spy) Curly has just ripped off his Hitler-like moustache:"Give me back my personality!" Moe (After Larry's previous outburst): "You're in a court, not a poolroom, Tarzan!"